If you’re addicted to caffeine, you probably already know how challenging it can be to drink eight 8-ounce glasses of water per day. However, it’s important to drink the daily recommended amount of water, as it helps with weight loss, skin complexion, and fills you up. 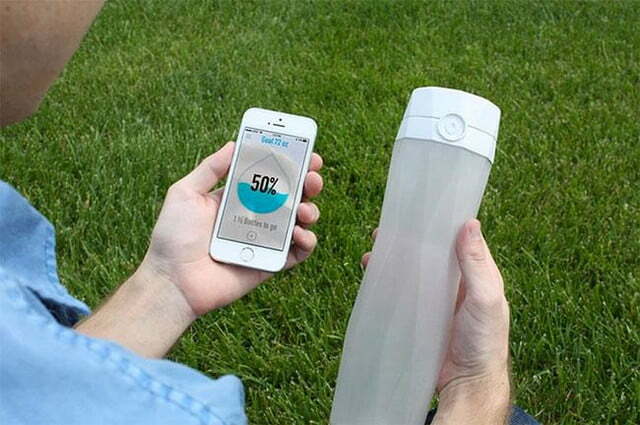 Luckily, there’s HidrateMe, a connected water bottle that comes with a sensor stick to automatically track how much water you drink throughout the day. 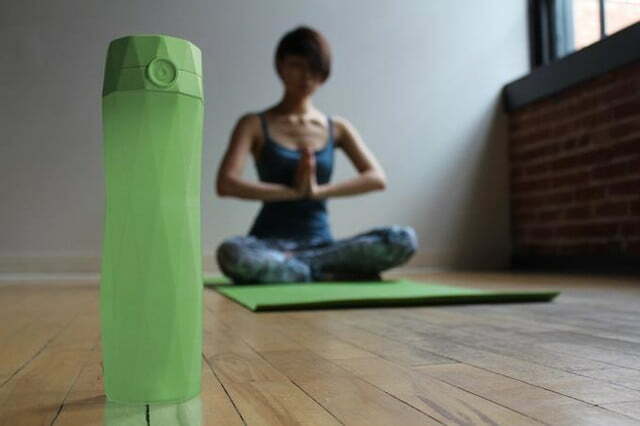 The HidrateMe bottle is a 24-ounce (710 ml) reusable water bottle made from BPA-free Tritan plastic. 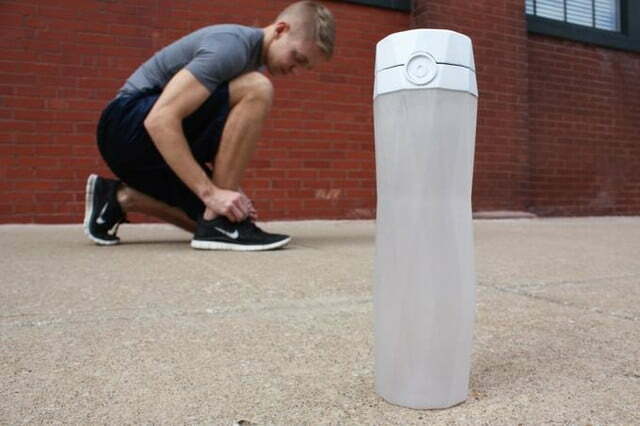 It’s dishwasher safe and comes with a leak-proof cap. 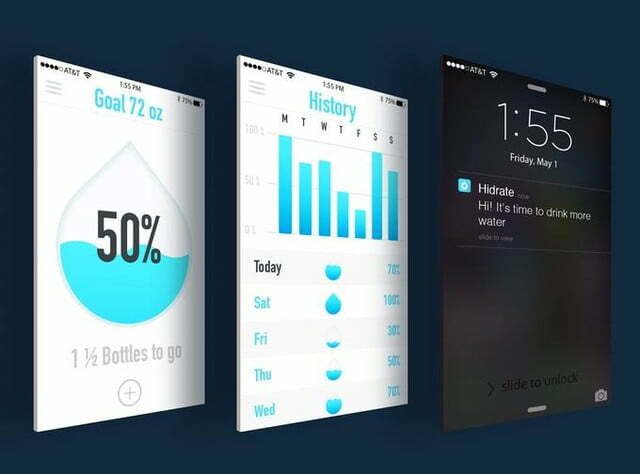 HidrateMe keeps you on track with your water consumption through a free companion app for iOS and Android that lets you know how close you are to reaching your goal. The bottle also glows when you need to drink more. Even though it’s clearly got some technology inside, you don’t have to recharge it. 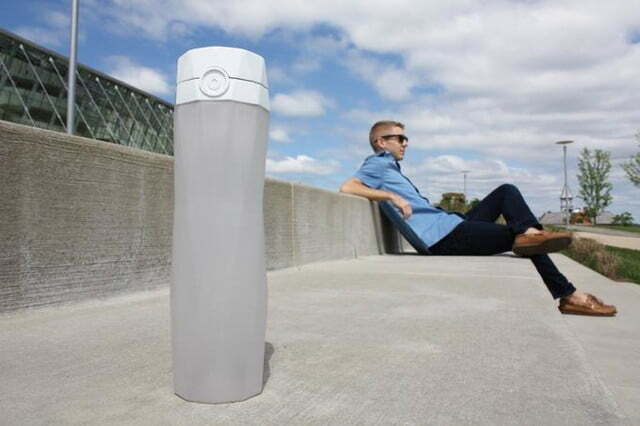 The battery is sold in most stores, and it lasts for over a year, Hidrate says. 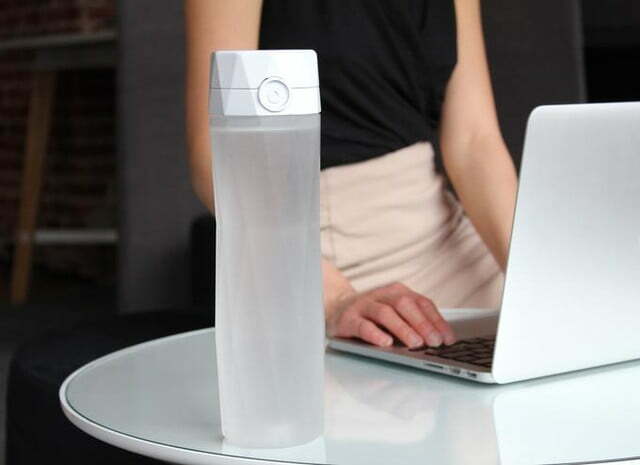 Hidrate, the company behind the water bottle, launched a Kickstarter campaign on June 1. So far, the company has exceeded its original $35,000 goal in just one day and is now over by $49,000, with 40 days left to go. 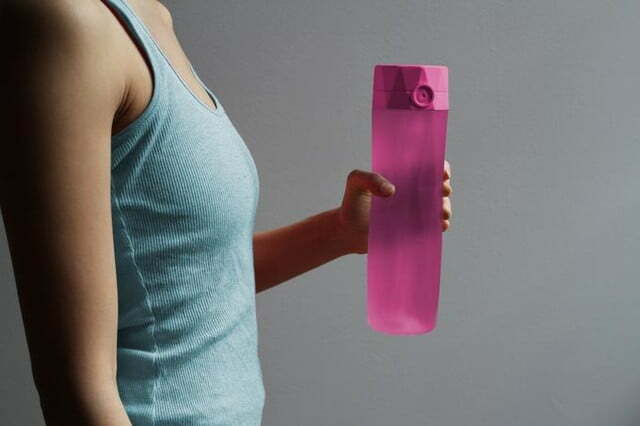 Even if you’re not a fan of carrying around a water bottle with you everywhere you go, the HidrateMe bottle looks elegant enough to fit in with most styles. 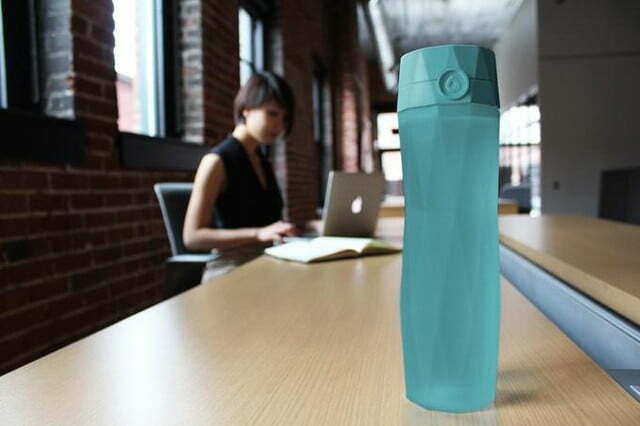 The HidrateMe bottle is available in five colors: iceberg white, bamboo green, ocean teal, crystal pink, and obsidian black. You can grab one now for just $45. The early bird special was $40, but all those bottles have been snapped up.